There’s only one place in Orlando, Florida where you can venture below the surface of the ocean, get up close and personal with animals, and experience one-of-a-kind thrills: SeaWorld. 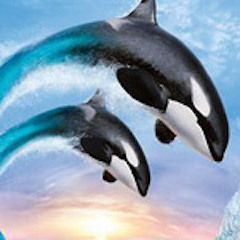 Your choice of ticket type including general SeaWorld admission, SeaWorld/Busch Gardens Combo Pass, SeaWorld/Aquatica Combo Pass or SeaWorld/Aquatica/Busch Gardens Combo Pass. Select the number of nights that fits your vacation needs. Discover the best of SeaWorld from our vacation resort in Kissimmee, FL.